Shana Tova! If you're celebrating Rosh Hashannah this weekend and your family's observance or celebration extends into a rehearsal evening, please don't worry about missing rehearsal--we understand. Please do submit an on-line absence form if your singer will not be at rehearsal this weekend. 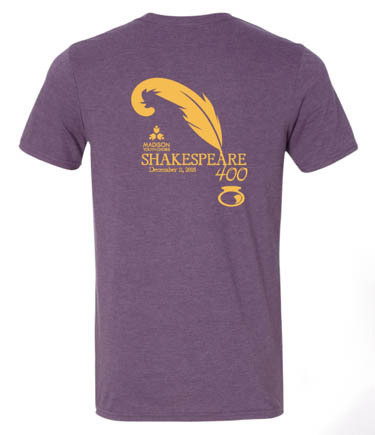 To celebrate our first semester theme, and advertise our winter concert date, we offer this one-time opportunity to acquire Shakespeare 400 branded T-shirts--a wonderfully frugal souvenir to commemorate the "unfolding of the myst'ries of man" taking place in rehearsals this semester. Make up day for singers in Choraliers, Con Gioia, Capriccio, Cantilena or Cantabile who missed our fitting day on September 25. Coffee is available to purchase on a monthly basis October - March. 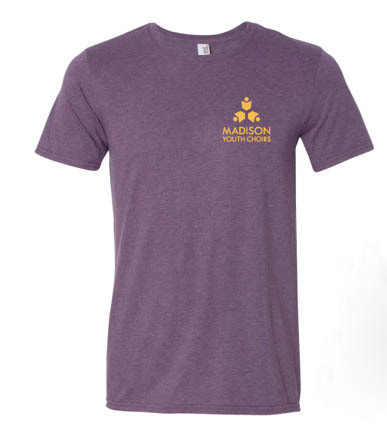 Families receive $5 toward their fundraising contribution goal for each bag of coffee sold. Singers in Purcell, Britten, Cantabile and Ragazzi will be on the Overture Center stage with the Madison Symphony Orchestra (MSO) for their annual Madison Symphony Christmas concert on December 2, 3, and 4. If you have questions about the MSO performance or how to use the coupon, please ask. Please watch for a separate note to the boychoir and Cantabile and Ragazzi with specific information about our December performances coming soon! 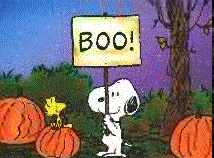 Purcell, Britten and Holst rehearsals are canceled for Monday, October 31.